a.k.a the Catalogue of Works by WAAPT Authors. This is a list of creative works not related to WAAPT created by the various WAAPT Authors. Available in Serebii Forums and FF.net. PMD fic with original verse and cast. A Shinx and an Eevee befriend an amnesiac Mienfoo, who joins their rescue team. The three soon find themselves involved in helping with the search for the stolen crystals from Axis Tower, which help keep their world in balance. 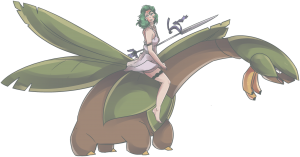 Entry for the Serebii [Interpretations] 2014 contest. A story of camaraderie with a family and growing up with them across the years, with a perspective twist. 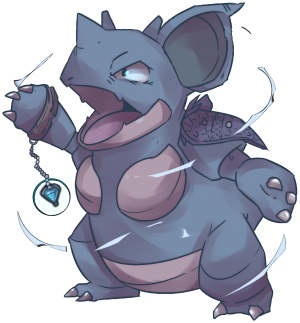 A young Nidoran unearths the ancient guardian of her home, one of a kind lost to the world. Will her home, and the world at large, cope with their return? Entry for the Serebii [Interpretations] 2014 contest, focusing on the often glossed-over facet of arenas and stadiums in the Pokémon world. What are they made of, how do they work, and what people and Pokémon work there. All from the perspective from a man completely sure that it all works well. 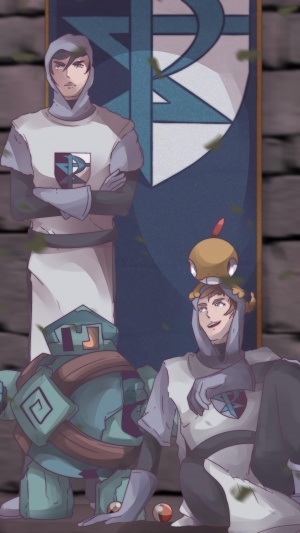 Entry for Serebii's Criminal Intent contest tied with Rosencrantz and Guildenstern Are Plasbad, looking into the inner goings-on of Team Rocket - from the eyes of their true(?) master, Giovanii's Persian. 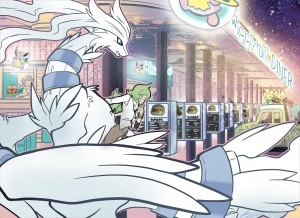 A tale told from the perspective of the Legendary Reshiram, from reflections on mythological day of old to her more modern alliance - and budding friendship - with N.
Spiritual successor to an entry to the Interpretations contest. After the Team Flare fiasco, the Legendary Yveltal just wants to do her own thing. 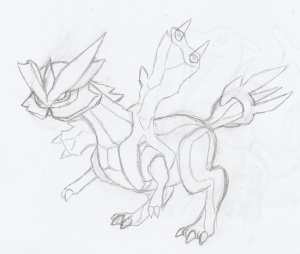 Her fellow Legendary Dialga's a fair bit more wary, however, and their conflict leads to things escalating in short order. Entry to the Alpha And Omega contest; an origin story for the city of Sootopolis, where two young adults named Apollo and Narissa and their Pokemon get displaced from their island home and separated from their fellow inhabitants by raiders, only to find a new home around a strange crater lake and a surprise encounter with Kyogre. However, while they manage to reunite with the other villagers, the raiders aren't too far behind, and everyone must defend their new-found home as well. A sequel to Green and White, set not long after the end of the Yangverse equivalent of White 2. N and Reshiram attempt to get more acclimated to the world around them, but it's not without its struggles, and it's not long before there are struggles between the two of them as well. Contest draft available on this Google Doc and AO3; pending revisions and proper publishing. Entry for Serebii's Criminal Intent contest, tied with Overlord, and a side story to Green and White and Truth. Two Plasma grunts named Tom and Roger join the organization eager to help the cause, but repeated encounters with others in the organization - particularly N - reveal they aren't quite in on what they signed up for. A holiday-themed interquel to Rosencrantz and Guildenstern Are Plasbad, written for Serebii's Fanfiction Quarterly Edition 3 prompt. When Tom and Roger are hiding out for the holidays, Tom cheers Roger up with a tale of the bizarre holiday his hometown Lacunonosa celebrates to appease Kyurem - and how it once led to Tom encountering Kyurem themself. This page was last edited on 4 May 2016, at 18:55.